Over the summer, my friend and fabric dealer/enabler Mary and I have been meeting up in any bits of spare time to help each other draft and fit basic bodice blocks. (sometimes called slopers) We both struggle to get a perfect fit with standard patterns, both of us are blessed (or cursed!) 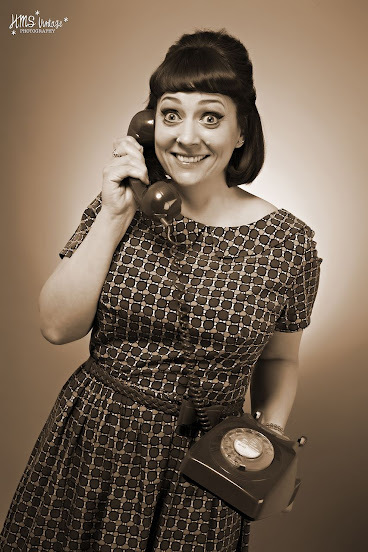 in the bosom department, but have small backs, and narrow shoulders. Actually we both have remarkably similar measurements, unyet as we discovered both needed very different adjustments to our basic blocks, which only goes to show that standard sizes and styles work differently even on two women with the same main measurements, ie bust and waist. I discovered I have a more rounded back than I realised, with small sloping shoulders and a sway back...then there is my dowagers hump! I can't say fitting the back was much fun for me. 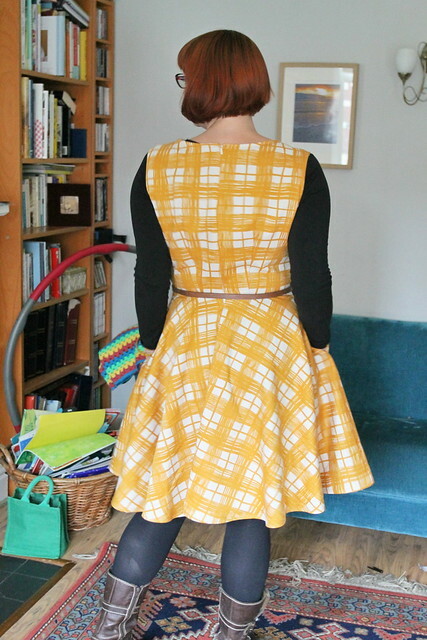 You may or may not have noticed that I almost never post back views on my blog, and that is because I think I look rather odd from the back, and I struggle to get a good fit with commercial patterns in the back bodice. 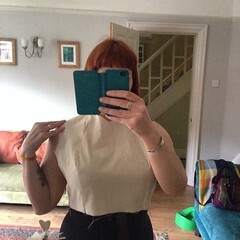 This photo shows my first fitted bodice block, before moving the shoulder dart. This photo shows my first fitted bodice block after moving the shoulder dart to the side bust. Putting even this calico toile on felt amazing! I was so pleased with how this toile felt that I had to try making a simple dress using it. 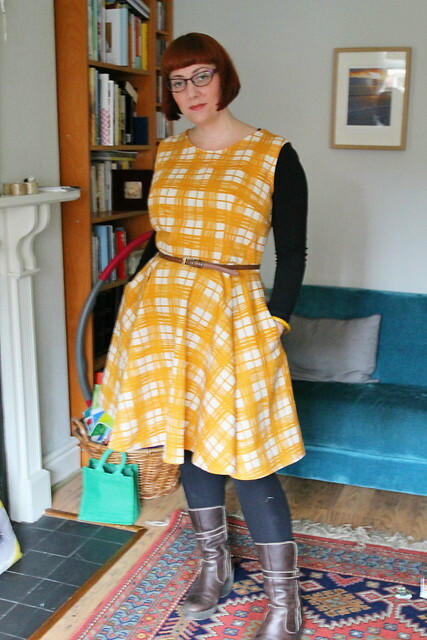 I'd been planning to make a sleeveless dress to wear over a long sleeved sweater in the winter, and this seemed the perfect chance to give it a go. So using my newly drafted basic bodice block I cut out a simple sleeveless bodice and self drafted circle skirt. I added pockets in the side seams of the skirt, and cut bias binding from the same fabric to finish the armholes and neck. The resulting dress is simple, but I love it! 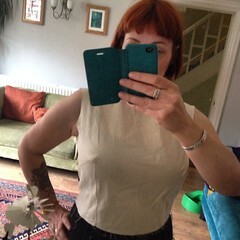 Far from perfect, I think the front waist darts could come in a little more, and yes the neckline is a little high, but I know this is a dress I will wear lots this Autumn and Winter. Best of all, is now I have a basic bodice block that fits, the options to make many different designs are huge. I can't wait to get started! And look a back view!! They do look bonkers don't they? I haven't looked at the Craftsy courses, but I should be starting a part time course at college this week to improve my self taught pattern cutting skills.Good luck with your sleeves. What a great fit, the back too! What a difference the shoulder darts made. 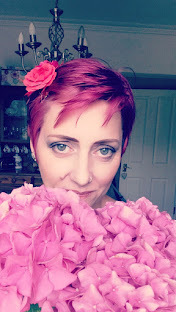 I'm always impressed when I read on blogs dress drafted by me ... And here you are, a designer no less. The back bodice is the biggest breakthrough for me Mags, I'm so pleased with it. Another tablecloth into a skirt.